Easier to only publish scores that are 90 points or higher – just ask James Suckling! O’Keefe is a traditionalist, and her highest value for wine is a sense of place. I know that sounds nebulous and maybe even a little cliche in 2015. But O’Keefe is a rare journalist who does the work to flesh out what “sense of place” means. She goes out into the vineyards of the greatest wine region in Italy. Her hands and her boots are marked by the marl and the clay and the grasses. That dedication pours forth in her writing, which is neither ostentatious nor hesitant to focus on subtle-but-important differences of place. Her book on Brunello came at a super-charged time in Montalcino’s history. There was a rather public investigation into illegal blending; many of the top critical scores were going to Brunellos that tasted like massive, internationally styled red wines; and there is an ongoing conversation over what defines the true historical home to Montalcino’s vineyards for Brunello. Barolo and Barbaresco arrives at a less controversial moment for Piedmont, but the book is no less important. You can tell that I appreciate O’Keefe’s work, and it starts with her values. Perhaps your values in wine start in a different place. Her books will, at the very least, challenge you in that regard. They are structured to tell a region’s historical story, while also delivering dozens of detailed producer profiles. Don’t mistake O’Keefe for an extremist. I was surprised to see her offer some appreciation for Sandrone, for example, who is known as a kind of modernist. O’Keefe distinguishes between the over-oaking, over-extracting score chasers (they simply don’t exist in the book) and a producer like Sandrone, who is neither a traditionalist nor a modernist. O’Keefe takes the time to explain why Sandrone stands out. Kerin O’Keefe was kind enough to answer my questions about her new book, and I hope you find our conversation informative. Evan Dawson: Last night my wife and I drank an Albino Rocca 2010 Barbaresco. You write that this is a producer that has gone away from barrique as a stylistic preference. That was happily evident in the wine. Across Piedmont, how common is this stylistic shift away from more modern methods? 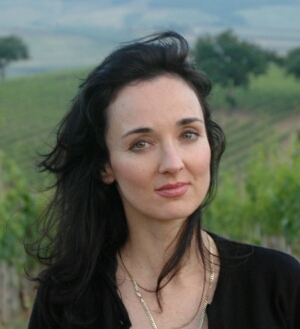 Kerin O’Keefe: Producers all across Italy, and in particular in the Langhe, have pulled back on barriques and on new oak. These days, more producers are using their barriques several times over while others have traded in their small barrels for larger casks. Among Barolo and Barbaresco producers who have pulled back on new oak over the years is Massolino. Franco Massolino used to age the firm’s Barolo Parafada in all-new barriques, but starting with the 2006 vintage, he ages the wine in 40-hectoliter Slavonian casks, like the firm’s other Barolos. Over in La Morra, Mauro Veglio stopped carrying out malolactic fermentation in barriques. He still uses them to age his Barolos, but uses a lot less new wood and now prefers only lightly toasted barriques. In the Barbaresco denomination, Andrea Sottimano used to rely on new oak but now uses only about 15% new 228-liter Burgundy barrels, the rest are seasoned and he uses them for up to six or seven years. Piero Busso used to age some of his Barbarescos in barriques, but now uses almost only Slavonian casks. Castello di Neive has also pulled back on barriques and 500-liter tonneaux and now ages almost entirely in casks made of French oak. ED: What are the easiest ways to define modern methods in Piedmont, versus traditional methods? KO: It used to be much easier, because until about seven or eight years ago, the two schools of thought made markedly different wines. From a consumer standpoint, the most obvious differences in the wines are wood-driven: producers using new, highly toasted barriques tend to make wines overwhelmed with oak-driven sensations of vanilla, toast, espresso and coconut. Those using the traditional botti – large, untoasted Slavonian casks – make more terroir-driven Barolos and Barbarescos that boast cherry-berry, leafy forest-floor, floral and balsamic sensations. These days, with some obvious exceptions, many producers mix things up in the cellar, either by using a combination of barriques and large casks, by using recycled barriques, or employing large French casks. So the lines have been blurred in this respect. Another difference between the two ideologies centers around fermentation: those respecting the area’s traditions tend to go for slow, gentle alcoholic fermentation (in cement, steel or occasionally large wooden vats) followed by lengthy maceration on the skins to extract only noble tannins. Producers not following tradition will instead opt for a quicker, more violent fermentation – often in rotary fermenters. This more tumultuous fermentation can easily result in a more extracted wine. And here I’d like to make a comment on the modern-versus-traditional categories, if I may. The term is still widely used, but there’s nothing modern about barriques in Italy anymore – a number of producers were already using them back in the 1980s, with Gaja using them since 1978. It’s almost like defining a company as being modern because they have a fax machine in the office – it may have been cutting edge in 1990, but not anymore. And the same with rotary fermenters: they’ve been used in the area for more than twenty years now. I’m still searching for the best term when describing the so-called modernists, and tend to call them non-traditionalists or even interventionists, since they often leave far more evidence of man’s hand in their winemaking when compared to producers using traditional methods. Another point I’d to add here is that the best producers have shifted the focus away from cellar practices and are now concentrating more than ever on improving farming practices. And this has also had an effect on the winemaking styles and choices: with healthier grapes that reach ideal ripening, many producers have shifted to less-invasive cellar practices. More producers than ever are able to ferment without selected yeasts for example, because they have eliminated toxic chemicals that destroyed not only parasites and warded off fungus, but also destroyed the natural yeasts found on the grape skins. And besides catering to evolving consumer tastes, many producers who now use less wood than before do so because they no longer need the vanilla-coconut and oak-driven spices to beef up their wines, because they now have more fruit richness. ED: When I reviewed your book on Brunello, I wrote that it wasn’t just an enjoyable book; it was important. I felt that you had offered a clear-eyed look at the value of tradition, celebrating sense of place. Have you heard from any producers who didn’t appreciate what you wrote? KO: Only two or three producers contacted me directly to express their disappointment, but many others had a lot to say about me to my fellow wine writers and to other producers who kept me updated! Some very reliable sources in Montalcino told me that about ten months after the book was published, some of the higher-ups in the Brunello consorzio apparently considered taking legal action against me because, based on my book, Norway’s government-run Wine Monopoly (Vinmonopolet) decided that in 2013 they would only buy Brunellos from the original Montalcino growing area, spanning a radius of one to two kilometers from the town center where vineyards were between 400 and 500 meters above sea level. A few consorzio officials and some producers were outraged by this, but in the end, other board members reminded them that some years before this the same Monopoly only wanted barriqued wines that got the highest scores, so they dropped it. Too bad – it would have been fantastic publicity! ED: What was your goal in writing the book on Barolo and Barbaresco? KO: Until I wrote my book on Brunello, there were no in-depth books on Italy’s greatest wines. All the books on Italian wine were about the country as a whole, while one or two were about entire regions or grouped together sections of the country. This is in sharp contrast to the numerous titles that have long been available on Bordeaux, Burgundy’s Côte d’Or, Chablis and Champagne just to name a few. With Barolo and Barbaresco, I wanted to write a book that would give readers a detailed look at the realities of the wines, their history and the growing areas. I particularly wanted to introduce readers to the many fantastic wineries who make wonderful wines but that never get written about. Most writers include the same handful of producers in every article, and I wanted to drive home the fact there are so many wonderful producers in Barolo and Barbaresco who make terroir-driven wines of structure, finesse and complexity. ED: I found your book on Brunello to be rather telling in who was not included for profiles. Valdicava, for instance. It felt like a statement on your part, a push against the soaring critical scores for bigger, interventionist wines. In this book, we don’t even get a mention of Roberto Voerzio or La Spinetta. Can I assume that’s also by design? KO: Absolutely. I purposely left out wineries that specialize in wines that are over-extracted, overoaked and lack vibrancy, intensity, fruit richness and finesse. I find wines like this to be incredibly boring. 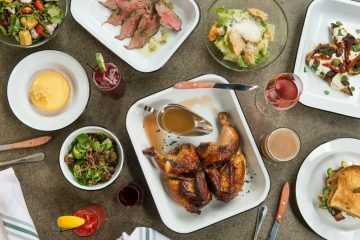 Many of the wineries I left out remind me of the fable of the emperor’s new clothes: just because a few people have fallen in love with and almost idolize these producers, doesn’t mean the wines are great expressions of Nebbiolo or that you’ll like them – especially if you prefer terroir-driven wines. ED: I’ll be direct: What do you think of Voerzio’s wines? James Suckling, who I always thought was less judge and more court jester, practically worshiped Voerzio’s wines with 100-point scores. Some of the Cellartracker scores are very high. KO: He may be doing a better job than others with that particular style but I’m not a big fan. ED: I particularly appreciate your interest in a region’s soil. You offer a kind of geological history and tour. But for those of us who can’t study the dirt in depth, what’s a shorthand way to understand the differences in Nebbiolo based on the ground in which it’s grown? KO: At first glance it seems simple: soils in both areas are predominantly calcareous marls. But in reality it’s much more complex, and how much clay, limestone or sand an individual area has makes a difference. Constant erosion of the topsoils further complicates the situation. In simplistic terms, Nebbiolo grown in the predominantly clay soils of La Morra tend to be more fragrant but less structured than Barolos from other areas. At the opposite end of the spectrum, Serralunga’s soils are made up of layers of limestone, marl and sandy marls that give Barolos powerful, tannic structures and longevity. Sand is another crucial factor, and gives wines more elegance, like those from the Cannubi vineyard in Barolo. In Castiglione Falletto, soils are a complex mix of alternating beds of sand, sandstone and calcareous marls that yield well balanced, fragrant and structured wines with finesse and complexity. Soils in Barbaresco are divided between bluish-grey marls and lighter marls over sand beds. Barbaresco’s soils have more nutrients thanks to its vicinity to the Tanaro River, making it more fertile than the soils in Barolo. This fertility yields wines with more supple tannins. ED: This is probably a futile complaint, but I wish wine shops carried older vintages of Nebbiolo-based wines. I’m not talking 25 years old, though of course that would be lovely. But so much of what we see is the current release. Your book makes clear that while Barolo and Barbaresco can be approachable earlier than ever, they are still gorgeously evolving wines. So what’s your buying and drinking strategy, and what can we learn from it? KO: In outstanding vintages, like, 2001, 2006, 2008 and 2010, I try to buy 3-6 bottles of Barolo and Barbaresco from my favorite producers. That way I can check in on them every few years to see their development. While I love trying old Barolos, and by those I mean 20-40 years old, I find that 10-12 years after the vintage tend to offer the best of both worlds: the fruit richness of youth combined with the onset of tar and leather of a more mature wine. I don’t lay down wines from hot years like 2007 and 2009 as these are to enjoy while the more vibrant vintages age in the cellar and develop complexity. ED: On that note, very few people can afford to drink Barolo or Barbaresco with much regularity. Which producers offer the best current value? KO: GD Vajra, Principiano, Guido Porro, Sordo and Batasiolo all make outstanding Barolos that retail for around $40. In Barbaresco, Adriano Marco & Vittorio, Cantina di Nebbiolo and De Forville make great wines that retail between $28 to $35. ED: I can’t review this book without evaluating your profile of Angelo Gaja. I think some readers will find it surprisingly favorable, given Gaja’s reputation. For example, you note that Gaja blends some of his Barolo and Barbaresco with 5-8% Barbera. But you don’t flinch! KO: Gaja’s best wines are definitely from his Langhe holdings. In my opinion, the wines he makes in other areas don’t compare to what he does in Piedmont, and that’s because of the outstanding vineyards he has here, the age of the vines and his decades of experience with Nebbiolo. Of all his wines, his Barbaresco has always been my favorite, because it’s the most traditional. I don’t mind that he adds 5-8% Barbera to his single-vineyard bottlings because he pulled them out of the Barbaresco and Barolo denominations. Under the Langhe DOC regulations, he’s allowed to add 15% other grapes. ED: I’ve never fallen under the Gaja spell. Maybe it’s because I can rarely afford his wines, so when I get the chance to drink one, the expectations are so high. Do you think the regional move toward modernization that happened in the 1990s and 2000s would have been less severe if Angelo Gaja was, say, a trifulau and not a winemaker? KO: Gaja’s success definitely inspired a lot of winemakers who wanted to imitate him and cash in on his success. Most of them didn’t even come close, because they didn’t have the same quality vineyards, and because many neglected the fact that Gaja never aged his straight Nebbiolos solely in barriques – he always aged for one year in large Slavonian casks. ED: You write that Gaja is already addressing climate change in various ways. That was fascinating. 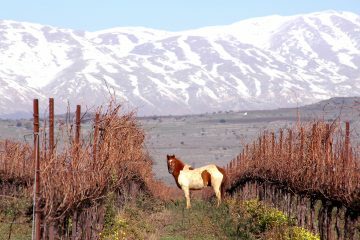 How much is the regional collectively thinking about climate change’s impact on local wines? KO: Everyone is concerned about climate change in the area and most growers are working very hard on turning the soil often in summer to avoid the dry, cracked topsoil that can stop moisture from getting to the roots and trap in the heat. More are planting grass between the rows, not to create competition but to keep the topsoil moist. Managing the leaf canopy is also crucial. After the scalding 2003 vintage, most producers learned that you have to treat every year differently. For example, you can’t defoliate the leaf canopy every July just because it worked the year before. Those that defoliated in the summer of 2003 ended up with raisins at harvest time. This mistake saved many in 2007 because most producers left the leaves on to protect the grapes. The rising alcohol levels is definitely a worrying trend, and I hope that producers will also start cutting down on excessive grape thinning and green harvesting, which is great in cool, wet years. But since this practice yields more sugar in the grapes, it can often generate excessive alcohol in hot, dry years. ED: Given the grumbling that happened after your book on Brunello – grumbling from producers who weren’t happy with what you wrote – I’m curious to know if you’ve experienced anything similar in Piedmont. Or, for that matter, if you’ve received thanks and congratulations. KO: I do want to point out that a few Brunello producers – even those that weren’t in the book – contacted me to say that they’ve learned more about Montalcino from my book than they ever learned by working in the area or from any other source. One of the reasons for this is that producers in Montalcino are extremely closed – even recently arrived outsiders – and they don’t normally taste wines from other estates or explore the entire growing area. So not all Montalcino producers were grumbling about my book, but the positive feedback in Piedmont has instead been phenomenal. I haven’t received any direct negative feedback from producers over my latest book, although I know of at least one producer who has expressed his shock to some of my colleagues at not being included. In general, not only have the profiled Barolo and Barbaresco producers been extremely supportive, but even a number of estates that aren’t in the book have shown support, rightly seeing the book as a tool that helps all the producers, not only those that I wrote up. I’ve gotten a lot of congratulations from producers in both Barolo and Barbaresco. Many producers have also contacted me to say that they are impressed – shocked even – by the number of people who show up with my book in hand and explain that they have ‘discovered’ their wineries thanks to my publication. This has been extremely gratifying. Even when I was in Alba at the annual press tastings of the latest Barolo and Barbaresco vintages this past May, I was approached by several wine lovers who were staying at the same hotel and touring the area based on my book. 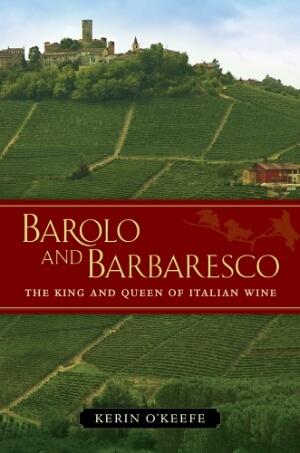 Sales across the board for my Barolo/Barbaresco book have been unusually brisk: it sold out its first printing in just three weeks after its release. The second printing finished three months later. Eight months after its release, the book is now finishing its third printing. Thanks for the focus on these 2 important books–and of course, on Kerin. Your questions pulled out some issues I have been wondering about after reading the books. Having visited both areas several times, I’m always taken back by the general isolation of many producers–how they rarely taste wines from producers whose vineyards are often next to or within eyesight of their own vineyards. I also remember the caustic comments from a few producers RE the score-chasing of some of their neighbors. And, for what it’s worth, the owner of the hotel In La Morra (where the WS folk stay) thinks that James Suckling is a “clown”–and an incompetient one at that. So there! HA! Good day Evan! I’ll start with a “PS.” We just returned from a visit with Tom & Susan and dinner at the Inn–what’s not to like! RE the curious Gaja. I have limited contacts with him compared to other producers, but it’s fun to read about him. My summary is that his entrepreneural prowess has driven his winemaking philosophy. In the 15-20 of his wines I’ve tasted (all 1990’s and early 2000’s), I’ve yet to have even a semi-mystical experience. His wines are obviously well-made but with a quality/price ratio that shouts: “if you have to ask, you can’t afford it!” Even if I could afford them, their primary appeal seems to be the label. I’d rather spend the money on other juice. Like many “modernist stars,” the sharp focus on a particular palate/market (and “branding?”) seems to put an upper limit on their wines–a generally high standard but below the mystical or semi-mystical. I join those who believe that many wines are better than ever before; but the manner used in raising the floor may have lowed the ceiling. I found this article very interesting. Thank you!